The week of September 11 will be a big one for Cimetrix in Taiwan. In addition to exhibiting at SEMICON Taiwan for the third year in a row (Booth # 2926) with our local partner, Flagship International, Cimetrix is privileged to be making joint technical presentations with GLOBALFOUNDRIES in two distinct events. First of all, Alan Weber (Cimetrix) and Mark Reath (Senior Member of Technical Staff, GLOBALFOUNDRIES) will share the stage at the Smart Manufacturing Forum at the Nangang Exhibition Center during the show on Wednesday afternoon (September 13, 12:40–1700, Room 402ab). Their presentation is titled “Smarter Manufacturing through Equipment Data-Driven Application Design” and highlights the importance of robust, standards-based data collection capabilities on both the equipment and factory sides in realizing the industry’s Smart Manufacturing objectives. On Friday of that week, this same duo will present “Device Scaling vs. Process Control Scaling: Advanced Sensorization Closes the Gap” at the Ambassador Hotel in Hsinchu on September 15, at 08:30–16:40 (click on the “Program” link). This presentation discusses how GLOBALFOUNDRIES is addressing the need for precise fault detection and process control in the sub-10nm domain through integration of high-speed, process-specific sensors using its EDA (Equipment Data Acquisition standard) infrastructure to deal seamlessly with complex data types (e.g., spectral data) and the context information necessary to use this information effectively. The conference agenda features speakers and topics across a broad spectrum of the industry’s value chain, so the conference promises to be an exciting and well-attended event. In addition to these technical events, Cimetrix will be demonstrating its new EDATester™ product at the booth along with its complete family of connectivity and equipment control products. We invite our customers and colleagues to join us at all of these venues and hope to see you in Taiwan soon. In November 2014, Cimetrix attained a status of ISV (IP & Solution Development) Gold Competency Partner with Microsoft®. Now you may be thinking “So what? What could that possibly have to do with me as a client of Cimetrix?” That’s what I would have thought if I had read the headline without knowing what was involved to both achieving and maintaining that level with Microsoft. So let me briefly share the main value of Cimetrix being a Gold Competency Partner and why it matters to our clients and to Cimetrix. Compatibility and Resilience – Apps are expected to be resilient and stable, and eliminating failures helps ensure that software is more predictable, maintainable, performant, and trustworthy. Adherence to Windows Security Best Practices – Using Windows security best practices will help avoid creating exposure to Windows attack surfaces. Attack surfaces are the entry points that a malicious attacker could use to exploit the operating system by taking advantage of vulnerabilities in the target software. One of the worst security vulnerabilities is the elevation of privilege. Support Windows Security Features – The Windows operating system has many features that support system security and privacy. Apps must support these features to maintain the integrity of the operating system. Improperly compiled apps can cause buffer overruns that may, in turn, cause denial of service or allow malicious code execution. Adherence to System Restart Manager Messages – When users initiate shutdown, they usually have a strong desire to see shutdown succeed; they may be in a hurry to leave the office and just want their computers to turn off. Apps must respect this desire by not blocking shutdown. While in most cases a shutdown may not be critical, apps must be prepared for the possibility of a critical shutdown. Support of a Clean, Reversible Installation – A clean, reversible installation allows users to successfully manage (deploy and remove) apps on their systems. Digitally Signing Files and Drivers – An Authenticode digital signature allows users to be sure that the software is genuine. It also allows one to detect whether a file has been tampered with, such as if it has been infected by a virus. Kernel-mode code signing enforcement is a Windows feature known as code integrity (CI), which improves the security of the operating system by verifying the integrity of a file each time the image of the file is loaded into memory. CI detects whether malicious code has modified a system binary file. It also generates a diagnostic and system-audit log event when the signature of a kernel module fails to verify correctly. Prevention of Blocked Installations or App Launches Based on an Operating System Version Check – It is important that customers are not artificially blocked from installing or running their app when there are no technical limitations. In general, if apps were written for Windows Vista or later versions of Windows, they should not have to check the operating system version. Does Not Load Services or Drivers in Safe Mode – Safe mode allows users to diagnose and troubleshoot Windows. Drivers and services must not be set to load in safe mode unless they are needed for basic system operations of such as storage device drivers or for diagnostic and recovery purposes, such as anti-virus scanners. By default, when Windows is in safe mode, it starts only the drivers and services that came preinstalled with Windows. Follows User Account Control Guidelines – Some Windows apps run in the security context of an administrator account, and apps often request excessive user rights and Windows privileges. Controlling access to resources enables users to be in control of their systems and protect them against unwanted changes. An unwanted change can be malicious, such as a toolkit taking control of the computer, or be the result of an action made by people who have limited privileges. The most important rule for controlling access to resources is to provide the least amount “standard user context” necessary for a user to perform his or her necessary tasks. Following user account control (UAC) guidelines provides an app with the necessary permissions when they are needed by the app, without leaving the system constantly exposed to security risks. Most apps do not require administrator privileges at run time, and should be just fine running as a standard-user. Installation to the Correct Folders by Default – Users should have a consistent and secure experience with the default installation location of files, while maintaining the option to install an app in the location of their choice. It is also necessary to store app data in the correct location to allow several people to use the same computer without corrupting or overwriting each other's data and settings. Windows provides specific locations in the file system to store programs and software components, shared app data, and app data specific to a user. Microsoft provides a suite of tests that ensure compliance to the standards listed above. Cimetrix, as part of our release process, now runs the logo testing suite against all products prior to a scheduled release. To date we have received logo certification for our latest versions of CIM300, EDAConnect, and ECCE Plus. We have also submitted the latest release of CIMConnect for endorsement. We will continue to make sure all new product releases are subject to and pass the logo certification process. Committing to making sure our products are logo tested not only ensures our continued status as a Gold Competency Partner, but it also lets our clients know of our commitment to deliver quality software that is compatible with Microsoft’s current operating systems. The largest benefit Cimetrix receives from our Gold Partner status is the access to Microsoft tools and technologies. As a Gold Competency Partner, Cimetrix receives premium MSDN subscriptions to ensure each engineer in Engineering, Quality Engineering, and CT&S have the most up-to-date technology tools, training, and information they need to get their respective jobs done. Having access to the right tools ensures that our engineers can be as efficient and effective as possible. In addition, the cost savings of having these tools provided to us, as opposed to having to purchase a subscription for each engineer, is significant. By saving money on tools, we can devote those monies to product development. Last November Linkgenesis Corporation, based in Seoul, became the official Korean distributor of Cimetrix’ EDA/Interface A solution CIMPortal Plus. This partnership was a perfect fit as we at Linkgenesis have been providing software products and development services in manufacturing information automation systems and the software testing area since 2001. In November of 2014, Linkgenesis merged with IT-Innovation, a communication software solution provider for semiconductor and LCD factories. In cooperation with Cimetrix, Linkgenesis will be delivering the globally-proven EDA solution to Korean customers, and will also provide enhanced XGem/XGem300 GEM Driver harnessed with CIMPortal Plus so that customers using XGem/XGem300 can easily adapt their equipment to provide EDA capabilities. XGem/XGem300 GEM Driver is a Linkgenesis’ software driver supporting SEMI 300mm standards and is based on XCom SECS Driver that has been proven reliable for more than 200 customers. Linkgenesis’ software testing tool, MAT (Machine Auto Tester), has also been largely used by Korean mobile companies and automotive companies such as Samsung Electronics, LG Electronics, and Hyundai automotive groups. SEMI EDA/Interface A standards were originally established in 2006 with Freeze-I and then updated with Freeze-II in 2010, but Korean chipmakers have not actively adopted Interface A standards in their production processes. However this is beginning to change as Samsung Electronics released its plan to introduce Interface A on its pilot line last August and SK hynix also started discussion of introducing Interface A. In addition, Samsung Electronics plans to build a new line at its Pyeongtaek, South Korea and SK hynix’ plants to increase its production line at Cheongju and Yicheon, South Korea. However, according to Gartner’s forecast, semiconductor equipment spending by Samsung Electronics and SK hynix are going to slightly decrease this year. Samsung Electronics will invest $11.4 billion, which is a 13.5% decrease from 2014, and SK hynix will invest $4.8 billion this year, which is a 10.6% decrease from 2014. We believe this new partnership between Linkgenesis and Cimetrix will provide a great deal of advantages to Korean customers in this emerging market, and will promote the increased interest in EDA/Interface A technology for chip manufactures. 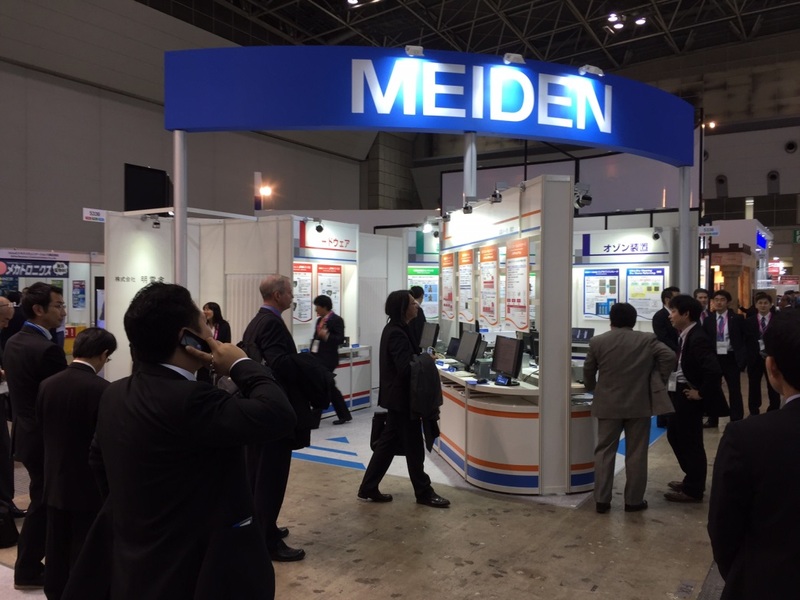 It was exciting to be at SEMICON Japan a couple of weeks ago. 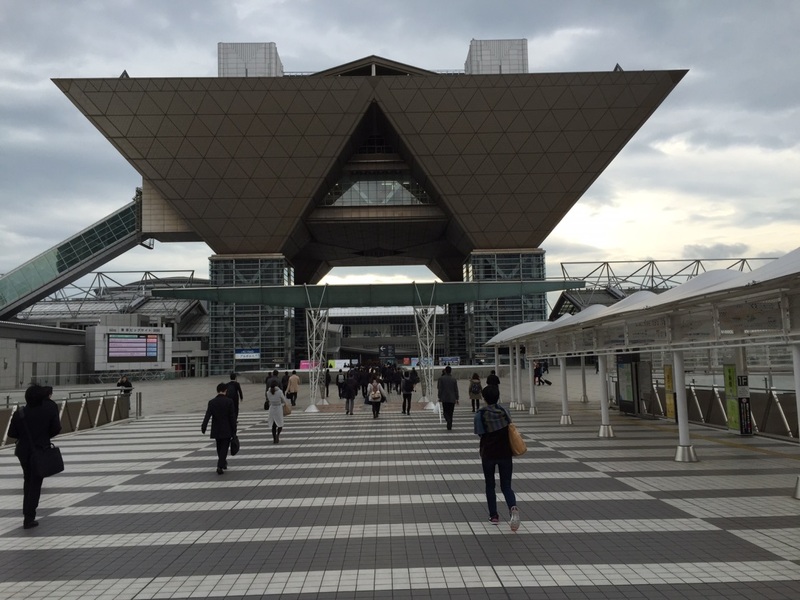 The show was in a new venue – Tokyo Big Sight; in previous years, it had been at the International Exhibition Halls & International Conference Hall in Tokyo. I was especially interested in seeing some of our equipment supplier customers, since we have several new customers who have completed their systems and will ship products using Cimetrix software in 2015 using both our Interface A and SECS/GEM software. We were well represented at the show. We had a large presence in the booths of our distributors in Japan. Both Meidensha and Rorze had banks of computers set up to demonstrate Cimetrix software, and both booths were busy with demos. You can read more about the event at SEMICON Japan. On April 18, 2013, SYSTEMA GmbH and Cimetrix will host the second SYSTEMA Expert Day 2013 in Dresden, Germany. The focus will be on advanced software solutions for equipment health and productivity monitoring in the discrete manufacturing industries. SYSTEMA chose the time and place for this event to make it convenient for attending the 2013 European APCM Conference, which will be held at the Dresden Hilton on April 15-17. There will be presentations from industry experts across the semiconductor supply chain, including semiconductor manufacturers, equipment suppliers, and software products and services suppliers. Wait Time Waste reduction using substrate-level equipment productivity tracking and analysis. “Future Directions in Equipment Data Analysis"
There may be changes to the agenda, so check the SYSTEMA web page for the event for more details (see the link below). 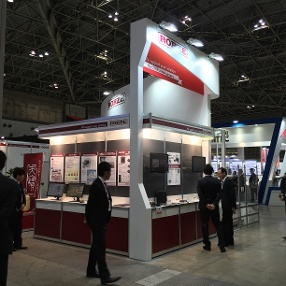 It was great to attend SEMICON Japan this year and see our increased presence at the show. I also wrote about it last year. 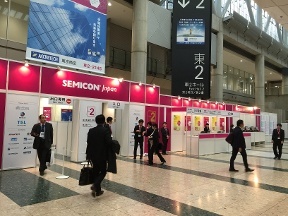 SEMICON Japan was held at the Makuhari Messe, near Chiba Japan, from December 7-9. It overlapped with the PV Japan 2011 event, held on December 5-7, due to the request from Japan's government agencies to delay the event from its original July schedule in order to conserve energy and resources after the devastating Tohoku-Kanto earthquake and tsunami. I attended both the SEMICON Japan and PV Japan events along with David Francis, the Cimetrix Product Manager, and Kerry Iwamoto, the Director of Cimetrix K.K. 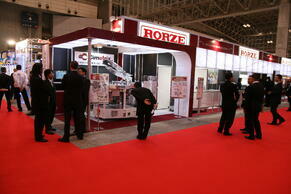 While Cimetrix did not have a booth, we had a strong presence in booths of our distributors - Rorze and Meiden. Both booths were on main aisles of the show and saw plenty of traffic. In the Rorze booth, Cimetrix software was highlighted with marketing content and demonstrated running a 450mm vacuum cluster and EFEM. This generated lots of attention on the main aisle. Rorze has a very unique offer for the equipment maker because they can supply the equipment hardware platform along with all Cimetrix software, particularly Cimetrix CIMControlFramework. Rorze offers true one stop shopping when developing a new machine. 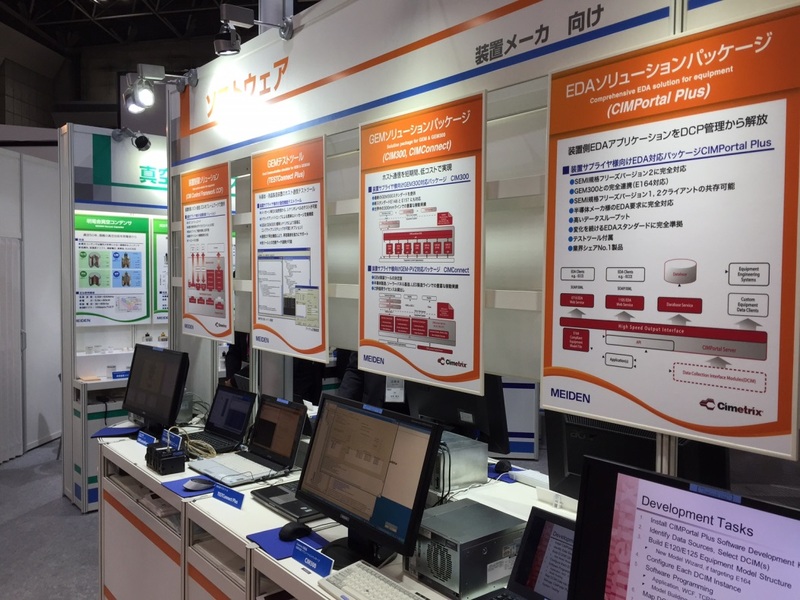 Meiden is our new distributor in Japan, and they dedicated a large part of their booth to highlight Cimetrix products and the EDA (Interface A) solution they have designed for a major memory manufacturer in Japan. 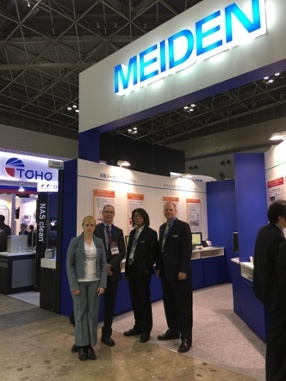 Meiden engineers are now trained in Cimetrix software products and they are supporting Cimetrix customers in Japan. Their offering is unique because they supply industrial PCs to a large percentage of Japanese equipment suppliers and have an army of integration engineering resources to help equipment suppliers. The show was crowded, and apprehension existed as the industry ponders the European debt crisis and smaller growth for both chip sales and equipment sales in 2012. There was also a lot of excitement and enthusiasm as the industry contemplates 450mm manufacturing and Interface A deployments to GLOBALFOUNDRIES, Toshiba and TSMC. It will be an interesting year as we see what develops. At SEMICON Japan 2009, Cimetrix announced a transition in its distribution strategy in Japan. Rorze Corporation has been appointed as the exclusive distributor in Japan for Cimetrix Factory Automation and Tool Control products. Rorze provides innovative robotic and wafer handling solutions to the global semiconductor industry. Cimetrix and Rorze have been working together for several years with Rorze transitioning the FA for its Sorter line to Cimetrix CIMConnect and CIM300 products, and working closely with Cimetrix to integrate its EFEM and vacuum platforms with the Cimetrix CIMControlFramework tool control software. This technology exchange led to an investment by Rorze in Cimetrix and the appointment of Rorze as the Cimetrix exclusive distributor in Japan. Rorze’s software department has engineers on staff who are familiar with the SEMI FA standards and have used Cimetrix FA and tool control products on previous projects. Watch for more news as this relationship broadens to add new channels throughout Asia. 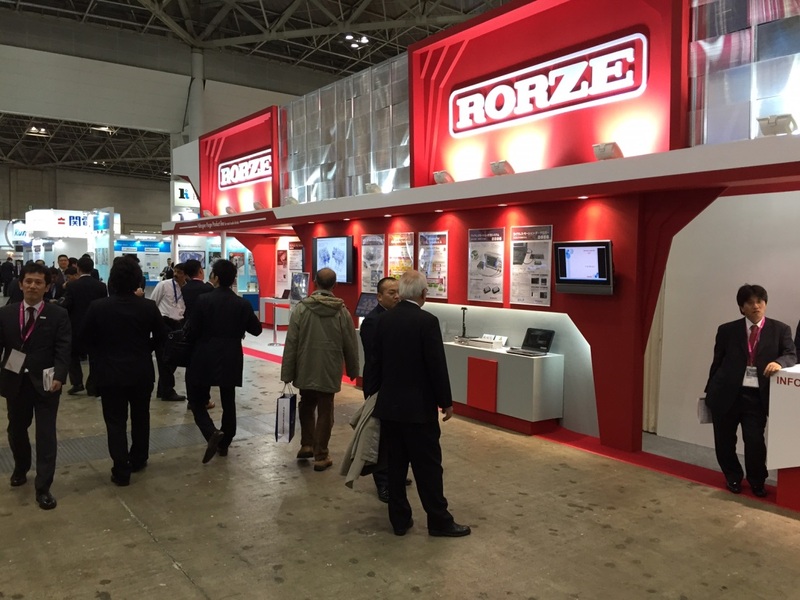 At SEMICON Japan, Rorze and Cimetrix demonstrated a new 450mm wafer capable vacuum platform. This platform was controlled by Cimetrix CIMControlFramework and was cycling both 300mm and 450mm wafers. It created quite a stir on the main aisle at SEMICON Japan due to the actual moving demonstration and discussions by ISMI about progress on industry usage of 450mm platforms. Please contact Rorze or Cimetrix for more information.